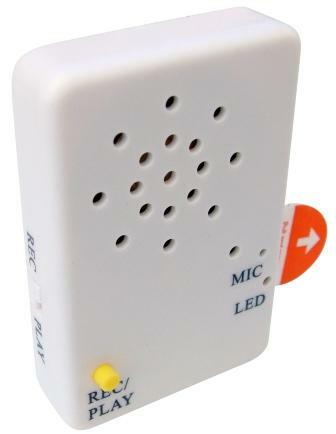 Cebek C-9702 is a voice recorder-player module. It is a self contained unit housed in a small plastic case. It can store recordings and playback high quality messages for up to 20 seconds. It has an integral LED recording indicator, microphone, speaker and two buttons to control playback and recording modes.